We are joined by Gurusimran Khalsa (vbrowncoat), “GS”, this time around. We´re not sure if it´s the summer holiday mode, or perhaps just general delirium, but for some reason this one goes off on a bit of a tangent. Is PernixData chocolate ice cream? Chromecast, AppleTV and possible nefarious images. And there it is. 35 minutes of mostly weird, geek laughter. Once again we bring you David Owen. For some reason he seems to be a returning guest, we only wish that the listener numbers would reflect it! David was recently one of the Virtualization Field Day 2 – Silicon Valley delegates, and finally gets a chance to tell the world what it feels like to be a member of a very prestigious club. How often does that happen to a fisherman from Sunderland? Of course, as some of the hosts like to stick their neck out, we get into VCP upgrade certification time limits, the VCDX certification and when Godwin’s law takes effect this over 1 hour edition is officially over. We hope you can bear with us for that long, we barely managed it ourselves. vSoup Episode #6 is now available! David Owen, who is not from Newcastle, is our esteemed guest. We get into certifications again, mainly the DCUCI and VCDX certifications. Is the VCDX actually worth it? Is the VCDX like the iPad 2? Wantware? Will three yearly VCDX defenses be enough, or has VMware dropped the ball? How about those VCDX fauilure rates? Of course, since David is our guest, the we also get into UCS and the little known UCS Express gets mentioned as well. Of course, there is room for some rather off topic talk too, like “Does being electrocuted by a server rack cause hair loss?” and can the Tesla electric cars run more than 20 minutes? Network discovery tools, are there any good ones out there? There was also a call for virtualization community fundraiser for Japan! Anyone in the community want to organize that and get it started? Since we got no participants in the contest for Episode #5, we’ll save the cheesehat and t-shirt that Bob provided us with for later. 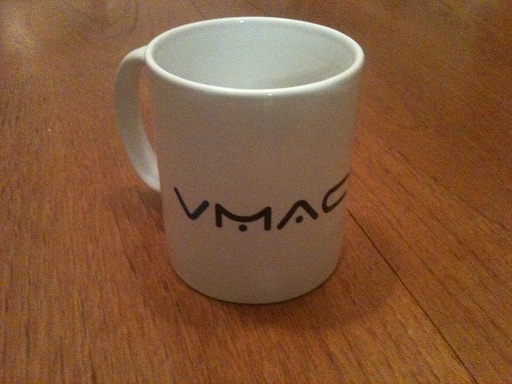 We do however have a new contest this time as well, where David Owen generously offers to give away some vMackem.co.uk coffee mugs. Or you might just get a cheesehat, who knows? Competition question: VMware vCenter Operations is the product formerly known as? As before, we’ll number all the correct answers and draw one at random when the next episode is served.